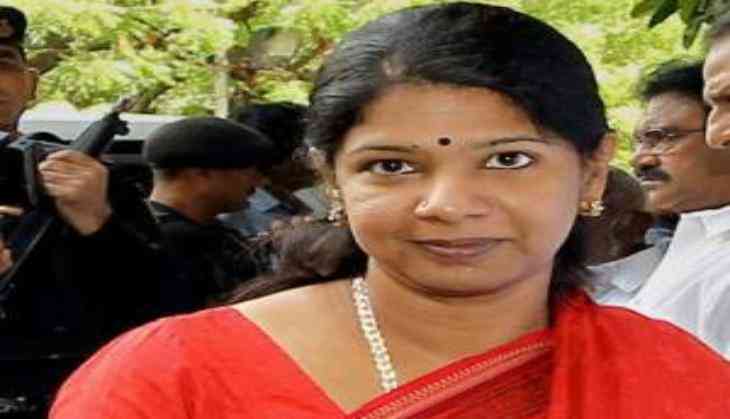 Scores of DMK workers including, party MP Kanimozhi, were detained today for holding protests outside ration shops across the state demanding adequate supply of commodities. Party Working President and Leader of the Opposition in the state assembly M K Stalin had announced the protest saying commodities were not properly available in ration shops in the state. Kanimozhi, Rajya Sabha MP, was detained at Royapettah here, police said. Scores of DMK workers, including MLAs, former Ministers and senior leaders were detained in different parts of the state including at Chennai, Villupuram, Dindigul and Thiruvannamalai. Meanwhile, Stalin charged the state government with non-performance and warned of more protests. "From ration shops to the state Secretariat, this is a government unable to perform. Therefore, DMK will hold more protests to remove it," he told reporters here.